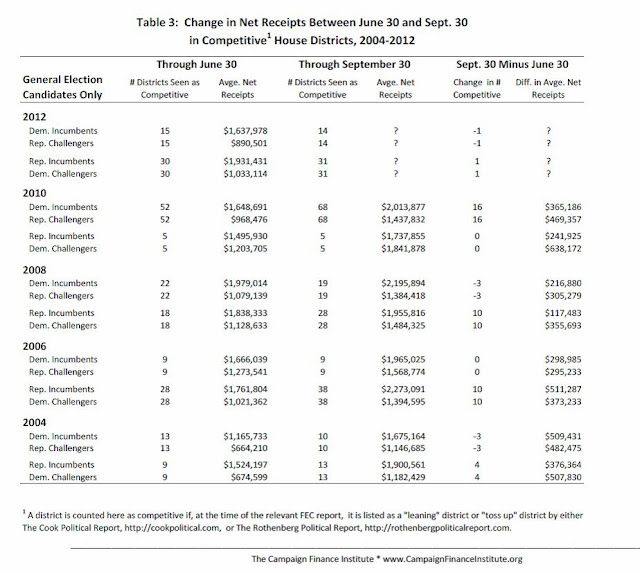 Table 3 shows what happened in the competitive races in each of these years. In each of the “big-change” elections, the party that was riding the wave had put more incumbents in trouble by September 30 than were in trouble on June 30. Sixteen more Democratic incumbents were listed as being in a competitive race on September 30, 2010 than on June 30. The results were parallel, but in the opposite party direction, in 2006 and 2008. 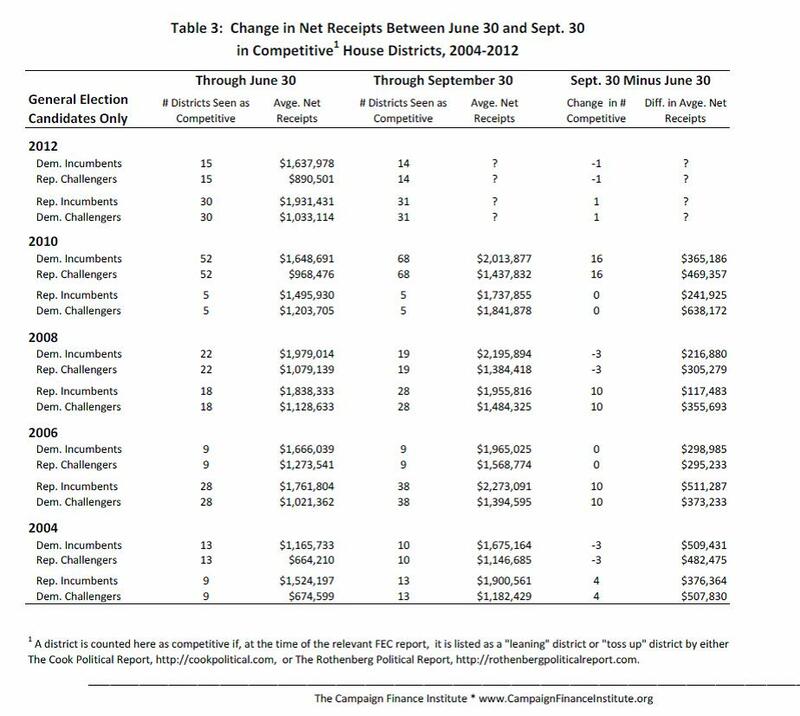 In both 2008 and 2010 the challengers in the competitive districts raised more money during the third quarter than the incumbent opponents. This was not true in 2006, and results were mixed in 2004. In September 2012, according to our competitive criteria noted above, there were 31 Republican incumbents as being endangered, one more than in June. It also shows 14 Democrats at risk, one less than in June. Thus, there was no major wave-style break toward the Democrats over the summer. We will be eager to see the new financial reports for these competitive races to compare them to previous elections. Preliminarily, however, we suspect the number and partisan balance of the competitive seats makes it look as if there will have to be more of a wave breaking in October for a shift of control of the House is to be at stake.